Survey your future in an exciting field. Create detailed surveys and topographical maps. What is Surveying and Mapping Technology? Do you like the thought of working in an environment which allows you a mixture of outdoor and indoor work? Surveyors get the best of both worlds. 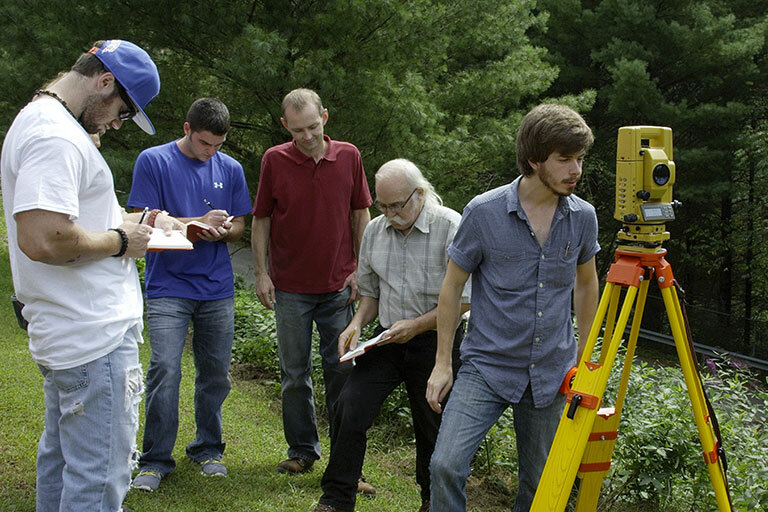 Check out your possibilities as a Surveyor today. ⓘBased on research conducted by the Kentucky Center for Education and Workforce Statistics (KCEWS) in 2016 for the state of Kentucky. SalaryⓘBased on research conducted by the Kentucky Center for Education and Workforce Statistics (KCEWS) in 2016 for the state of Kentucky.